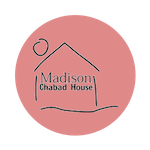 Want to keep in the loop on the latest happenings at Chabad of Madison. Subscribe to our mailing list below. We'll send you information that is fresh, relevant, and important to you and our local community. A new fun and free interactive program! Whether you’re seeking relief from stress; you’re hoping for focus, clarity, and connection to a raw and vulnerable place deep within you; or you just want to start each day from a positive, humble, and grateful frame of mind, this course is for you. Jewish wisdom teaches profound techniques to give wings to our emotions and words to our yearnings, allowing us to make contact and communicate with something larger than ourselves and feel comfort and shelter within a reality that’s more whole, more intense, more real, and more beautiful.